COZY, NEAT AND CLEAN!!! 2 Bedroom/1 Bath Cottage located Avalon Beach Westside. Many recent upgrades including new LVT Plank flooring in the open kitchen, living and dining areas, upgraded stainless kitchen appliances and new HVAC system installed in the summer of 2018. Full bath with Tile flooring and Tub/Shower combination. Washer, dryer and hot water heater are located in the oversized utility room on the ground floor. Underneath carport is completely covered with cement allowing for extra toy storage or gathering area. The large covered front porch for enjoying cool breezes on warm summer nights helps make this house feel like a home. 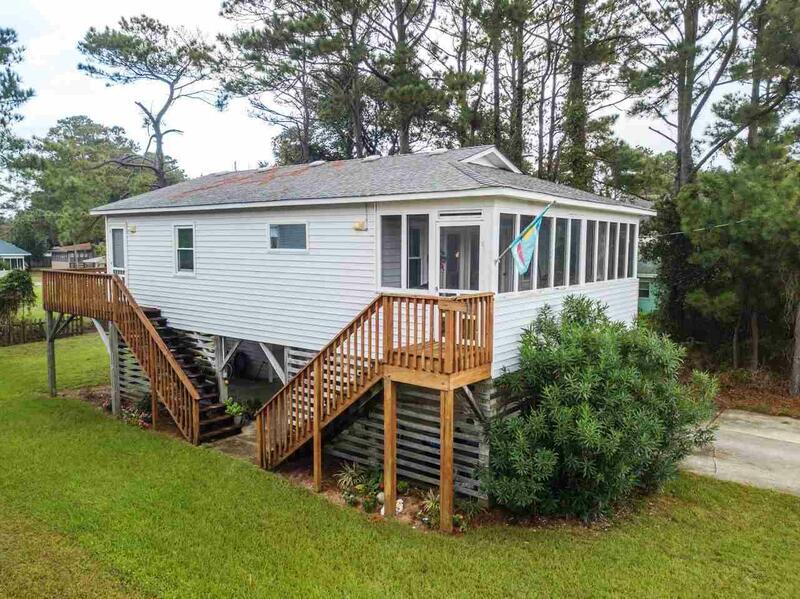 This property would make a Great primary, second or weekend beach getaway. Check it out today and see what the Avalon Beach area has to offer including Oceanfront Access with Parking, Soundfront Access and Park all for a small fee if desired. Also, nearby is the Avalon Boating Access Area with Parking and the Bay Drive, Multi-Use Path.